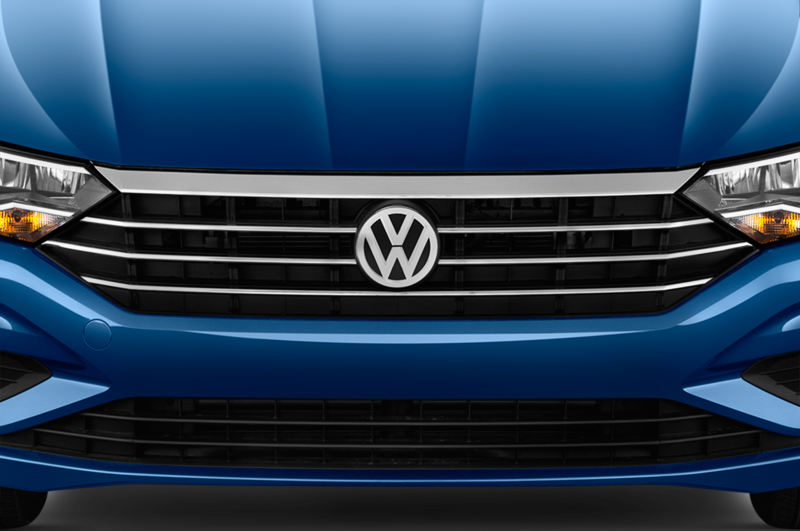 More than 3 million Volkswagen Jettas have been sold in the U.S. since its debut. 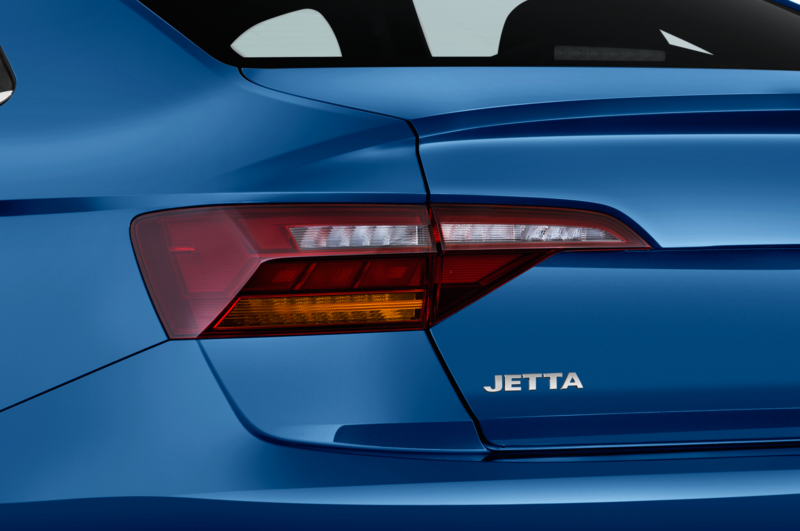 That’s about four times the population of Detroit proper, where the 2019 Jetta was just unveiled. 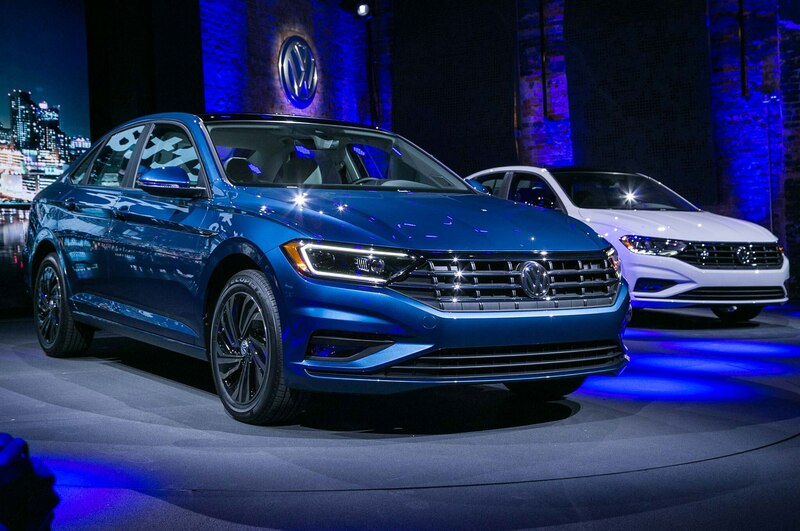 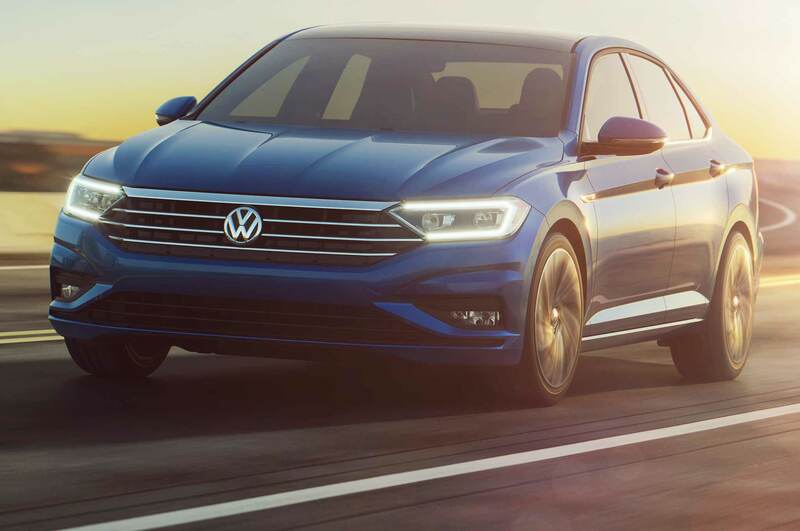 Joining the Golf and Passat on Volkswagen’s MQB architecture, the new Jetta presents an iterative design, upgraded features and tech, and the choice of both automatic and manual transmissions. 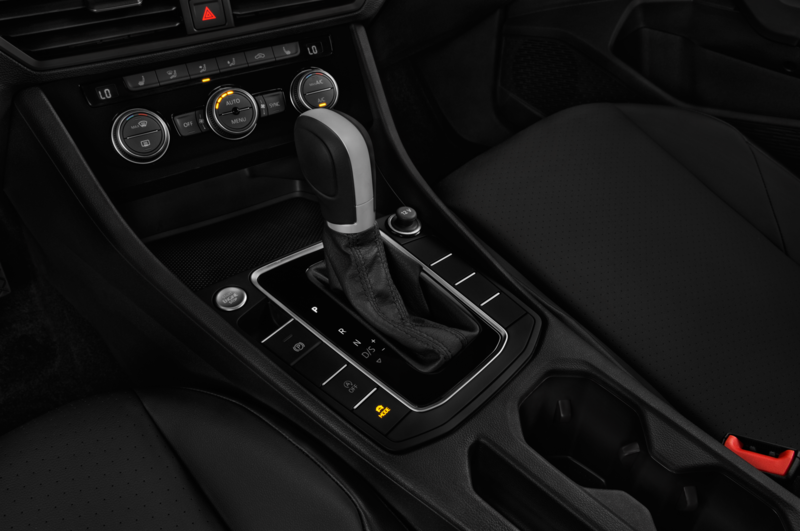 Nope, the manual isn’t dead—yet, anyway. 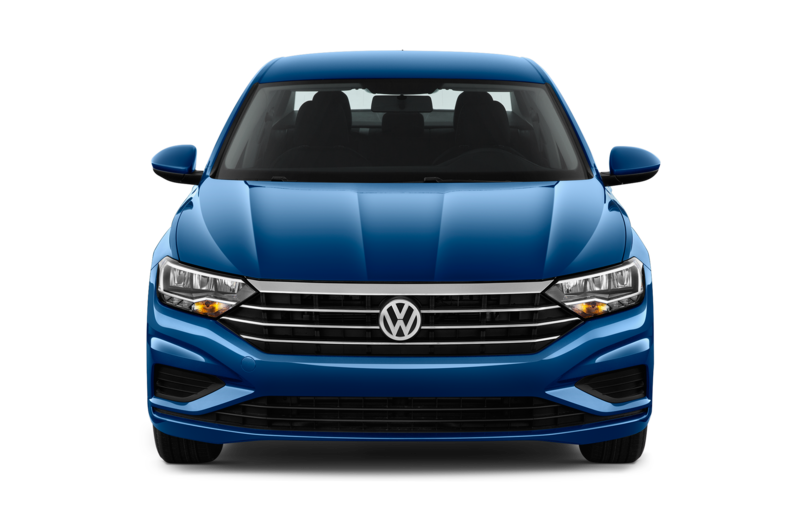 A six-speed stick or an eight-speed auto are available, both paired to VW’s 1.4-liter TSI turbocharged inline four-cylinder. 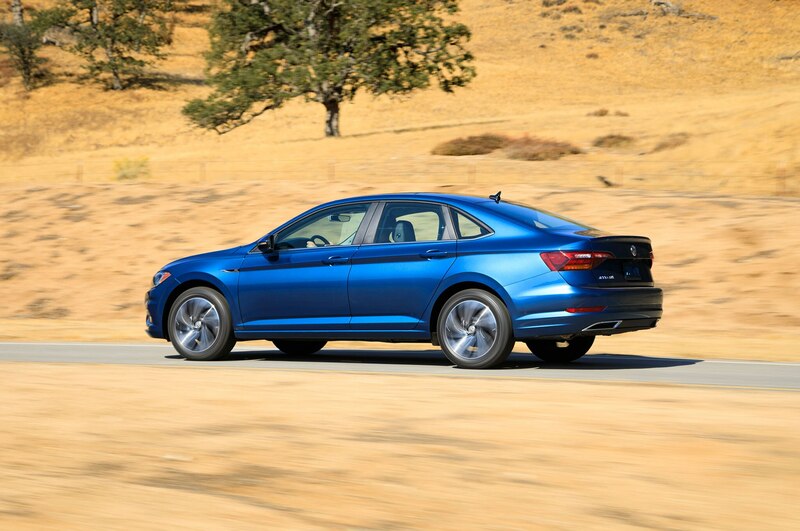 With 148 hp and 184 lb-ft of torque on tap, the front-wheel drive Jetta should be peppy. 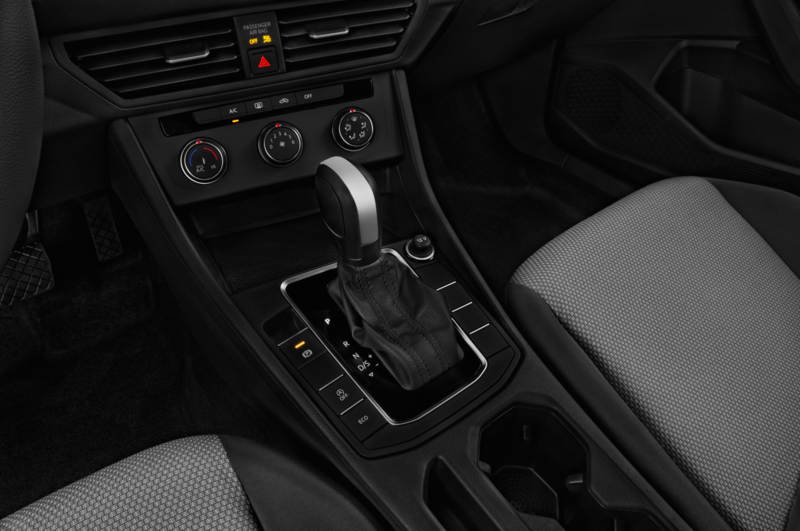 For models equipped with the automatic transmission (which is standard on all but the lowest-spec trim), stop-start is also included. 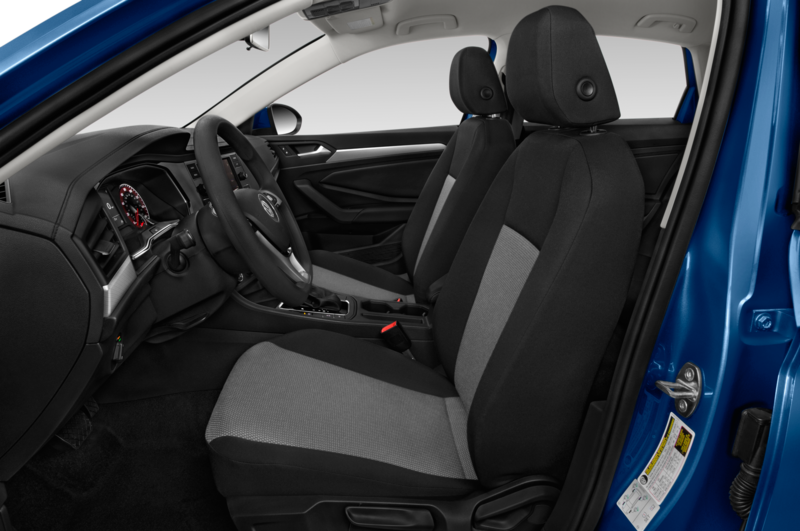 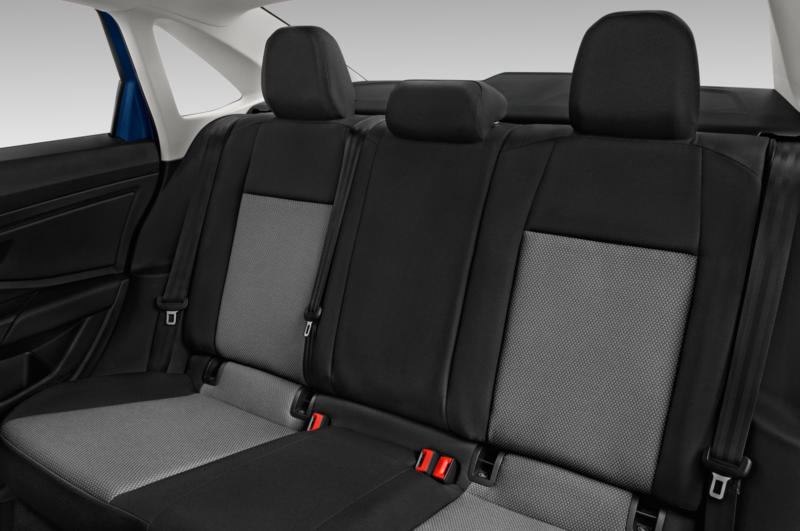 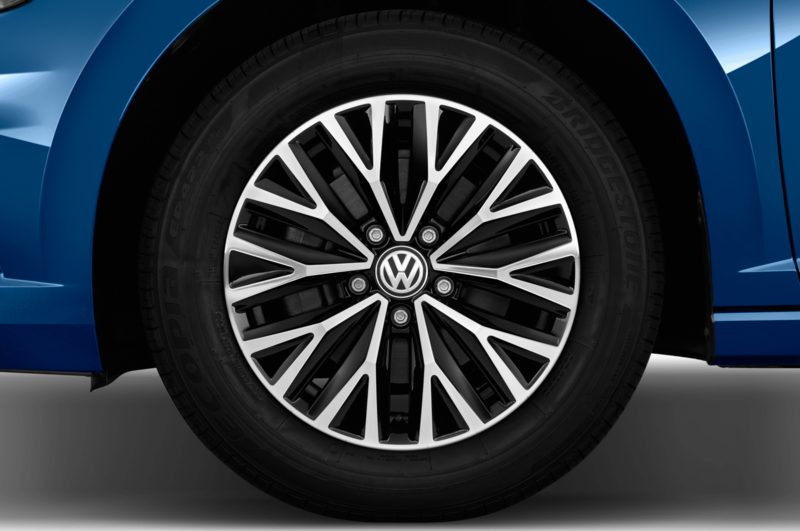 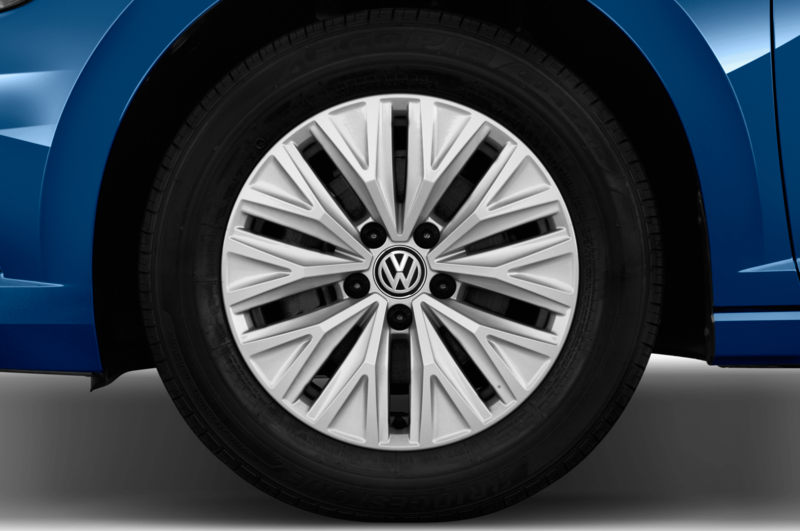 Every new Jetta will come with VW’s People First warranty, a transferable, 6-yr/72,000-mi bumper-to-bumper package. 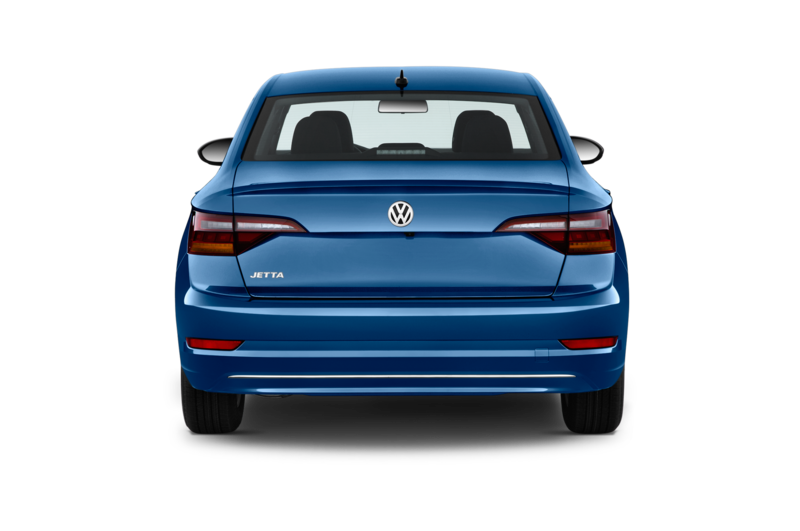 While the design is familiar, it’s also significantly updated from the previous Jetta, with crisper, more detailed surfaces and a bold, clean new front end. 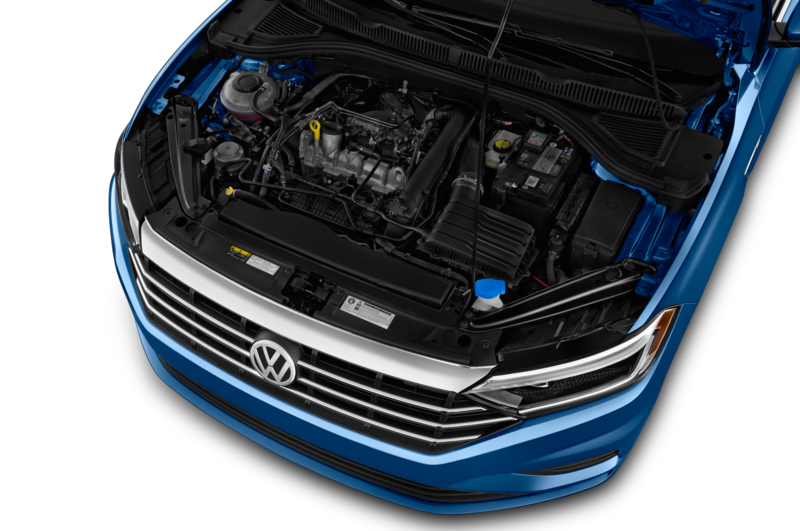 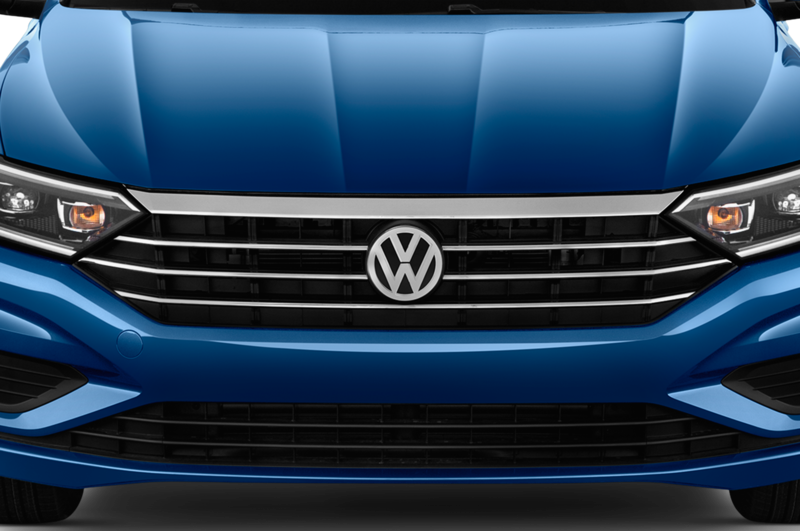 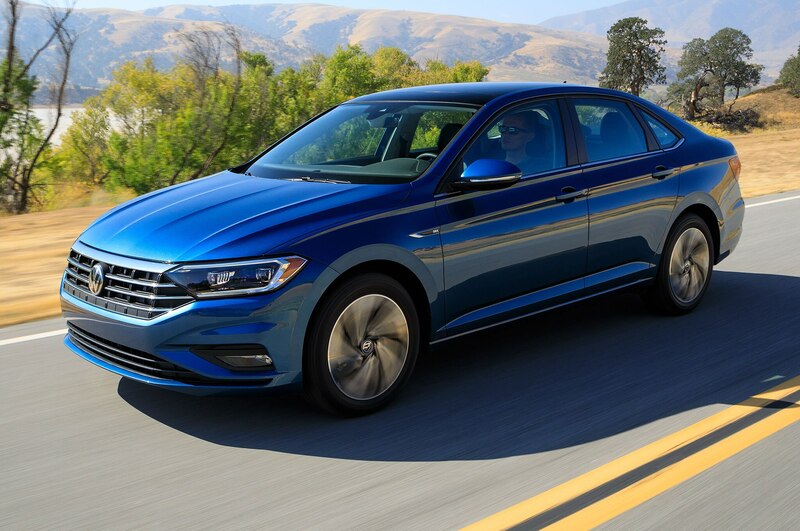 Underneath the new sheetmetal, the transition to the MQB architecture includes a longer wheelbase—now at 105.7 in, up 1.3 inches from the last Jetta. 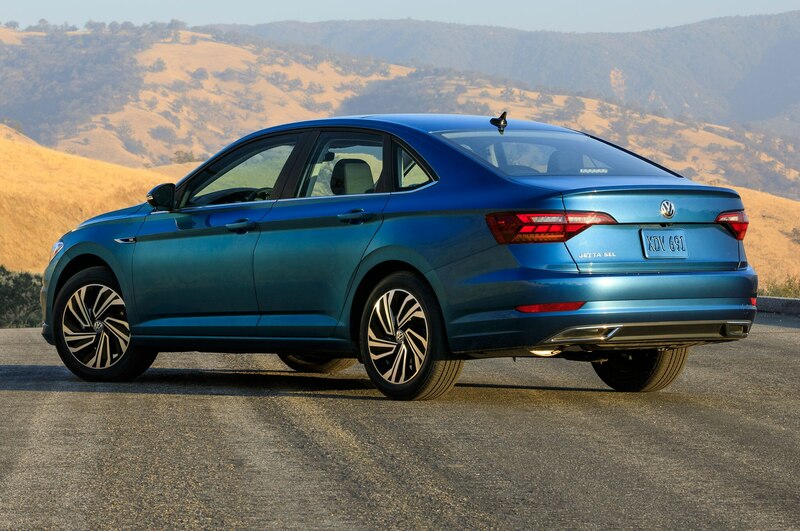 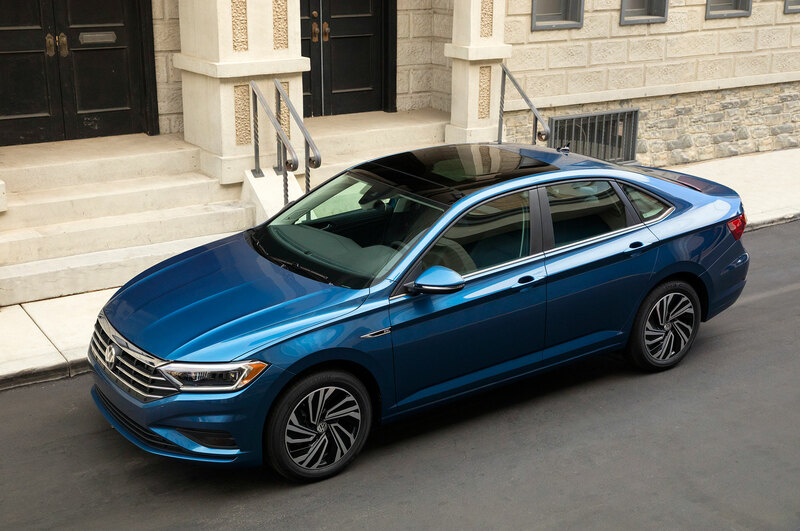 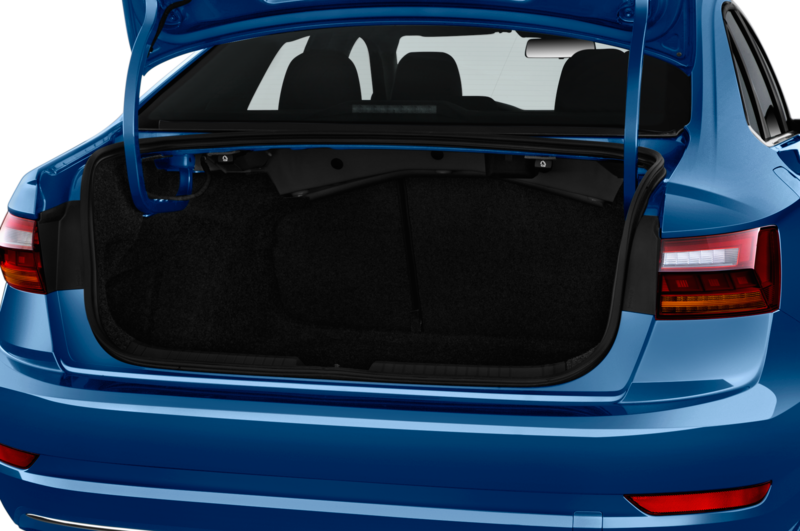 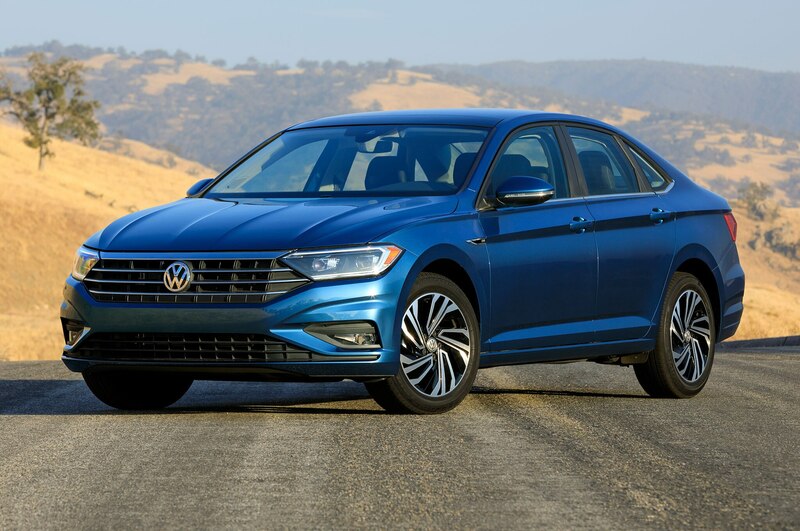 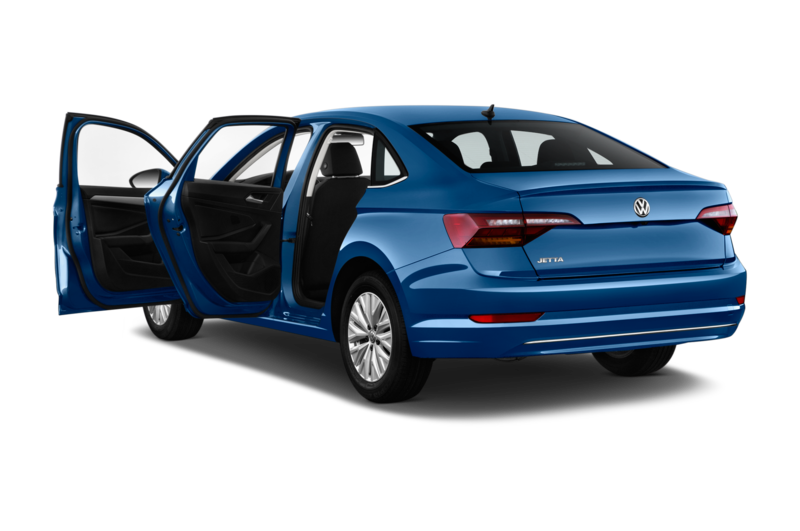 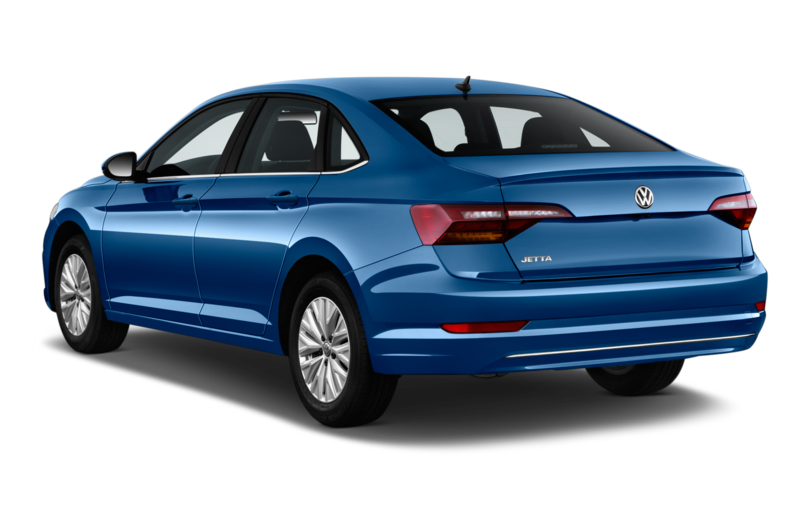 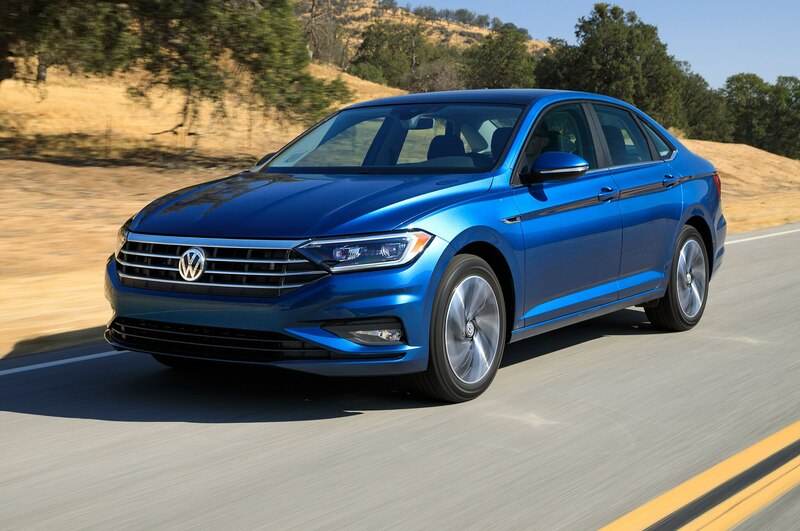 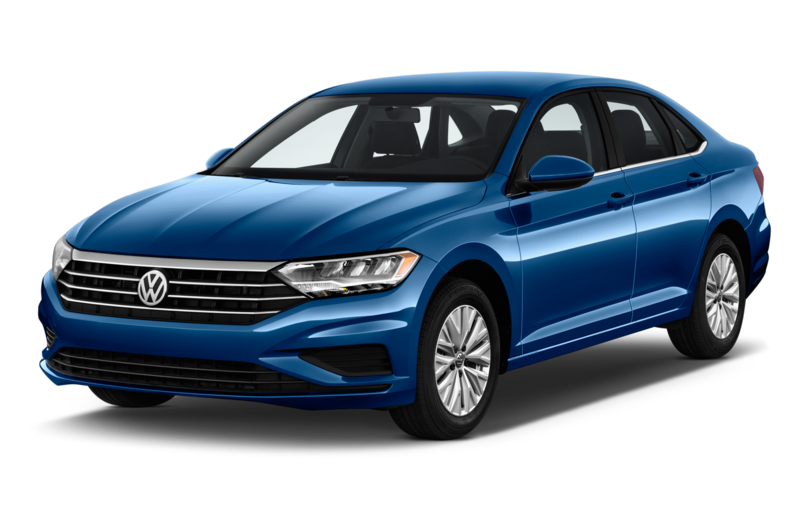 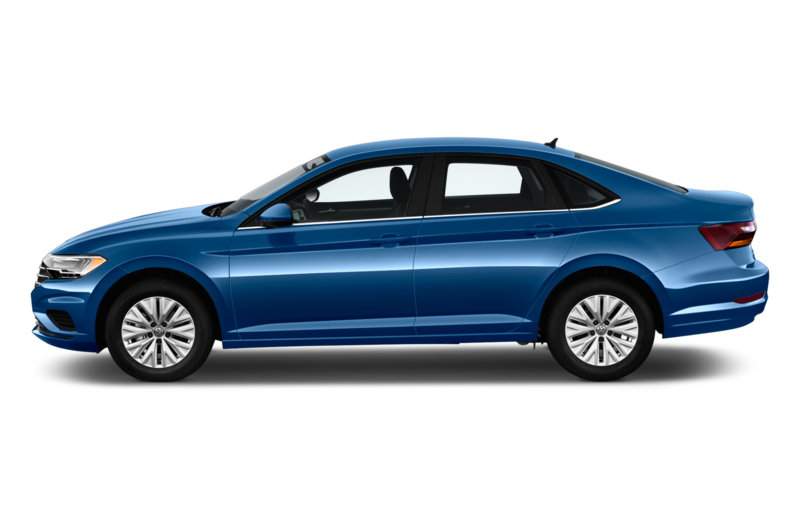 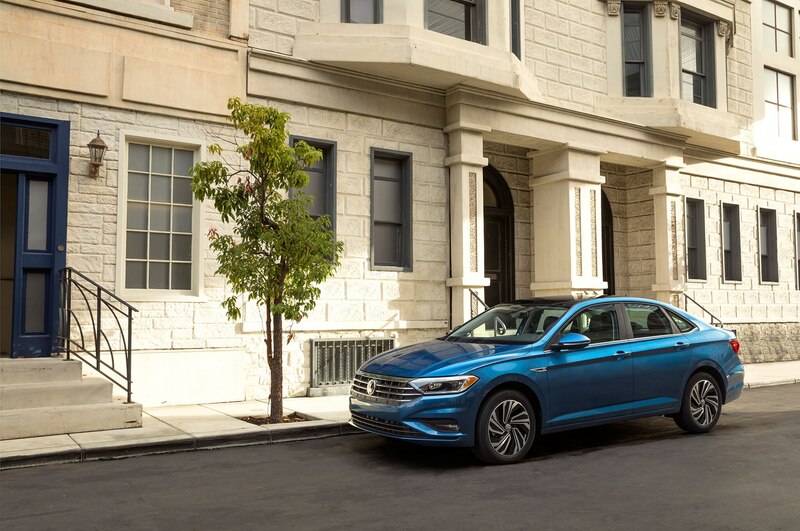 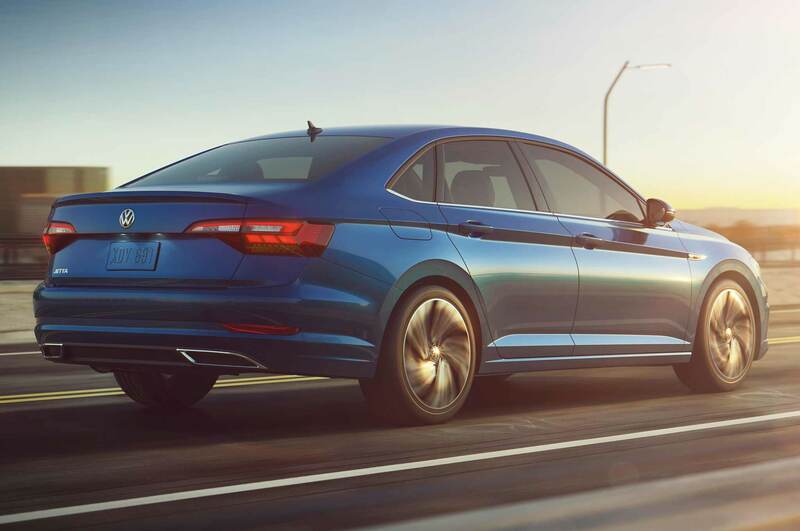 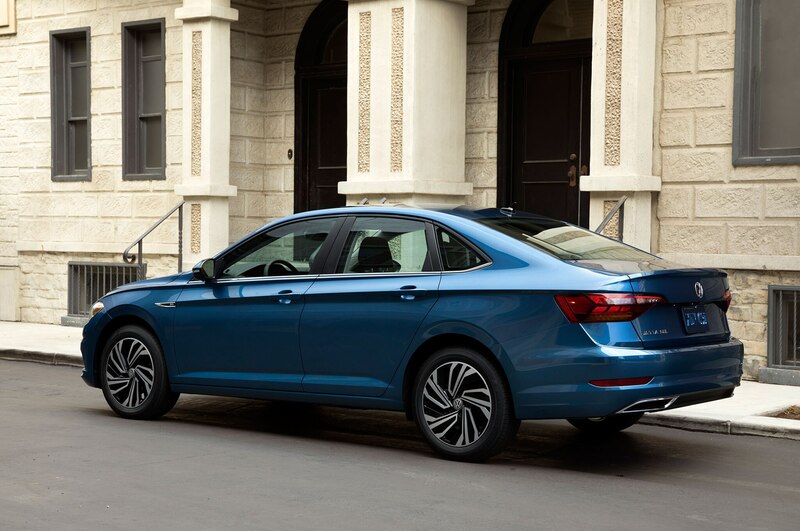 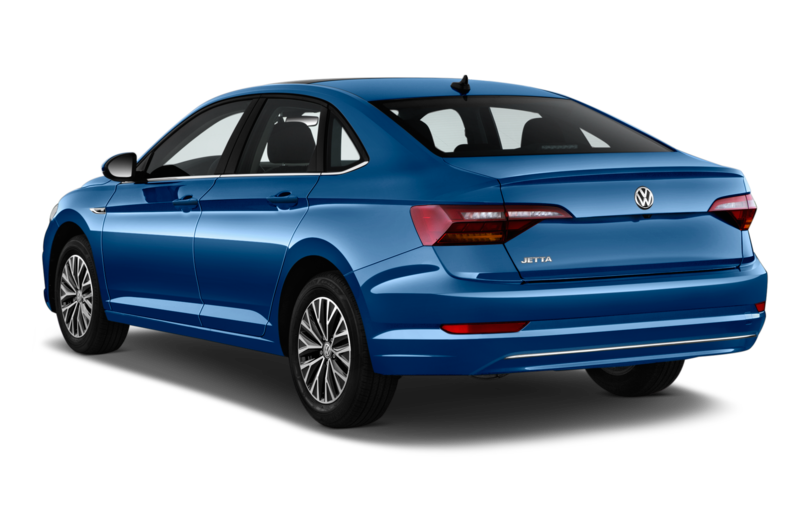 The 2019 VW Jetta is also wider, taller, and longer than the outgoing model. 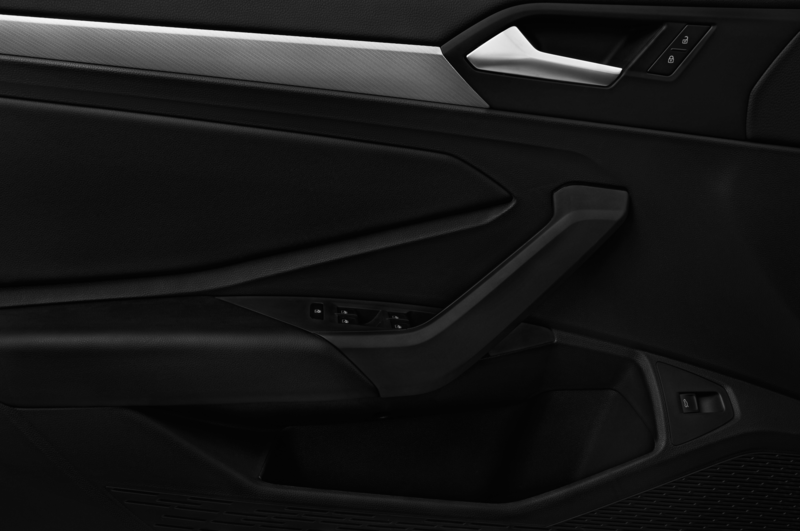 That all translates to more interior room. 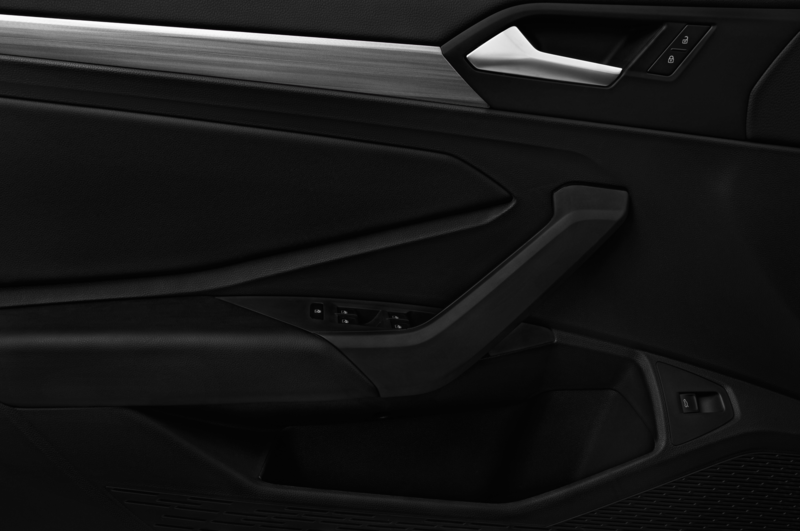 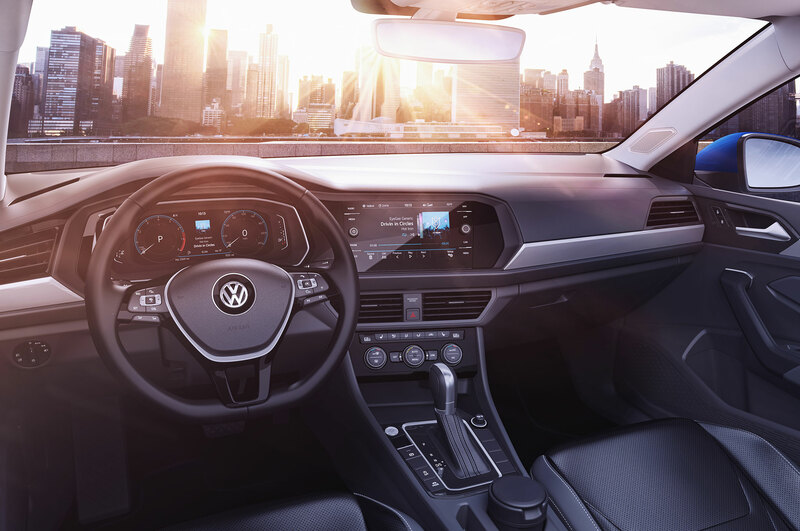 Some of that interior room is used for storage, including a new 5-liter center console that’s big enough to fit a full-size iPad, according to VW. 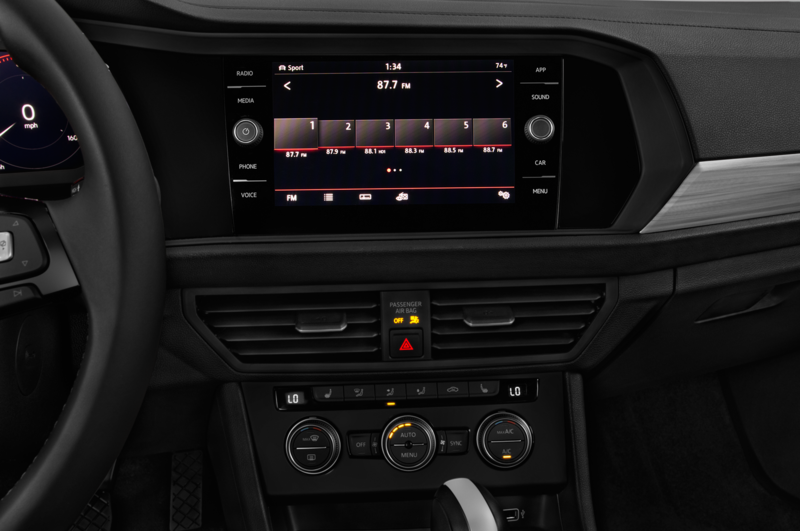 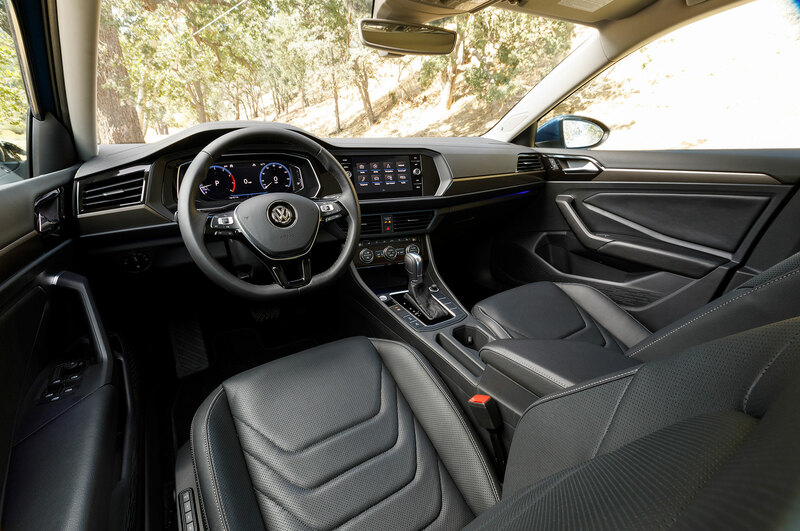 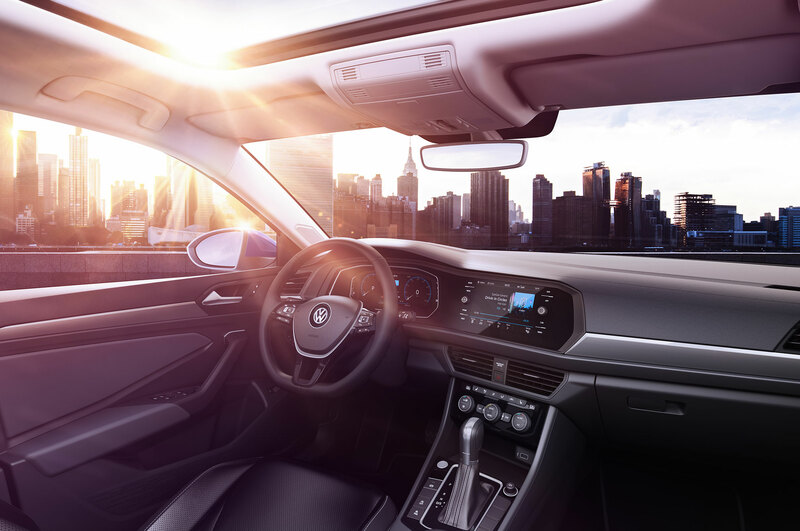 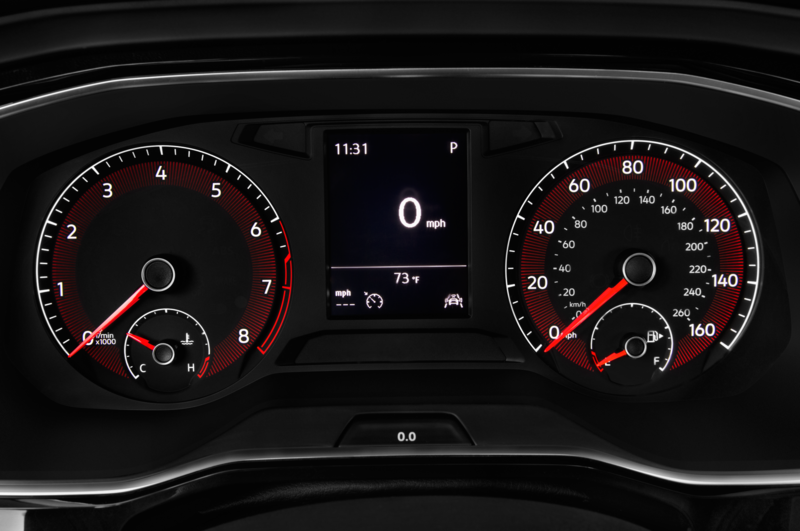 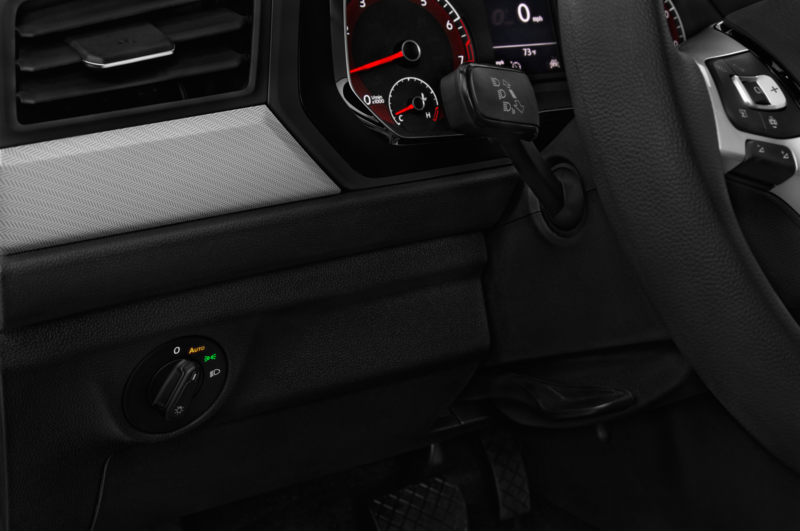 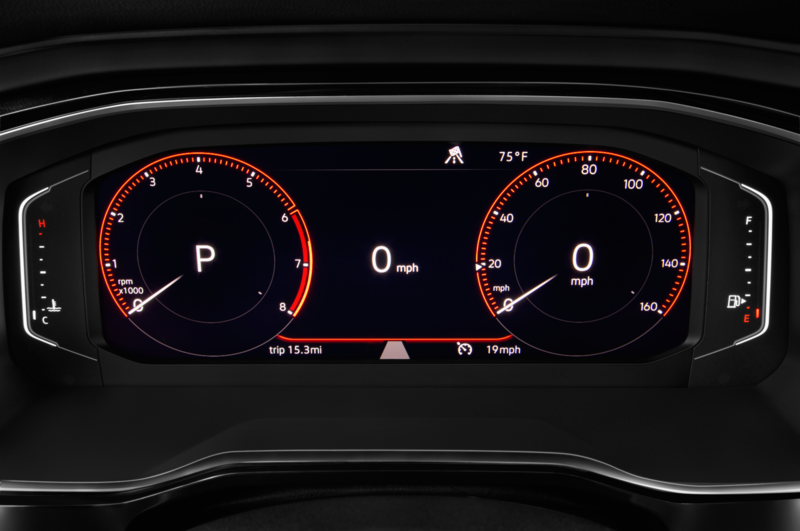 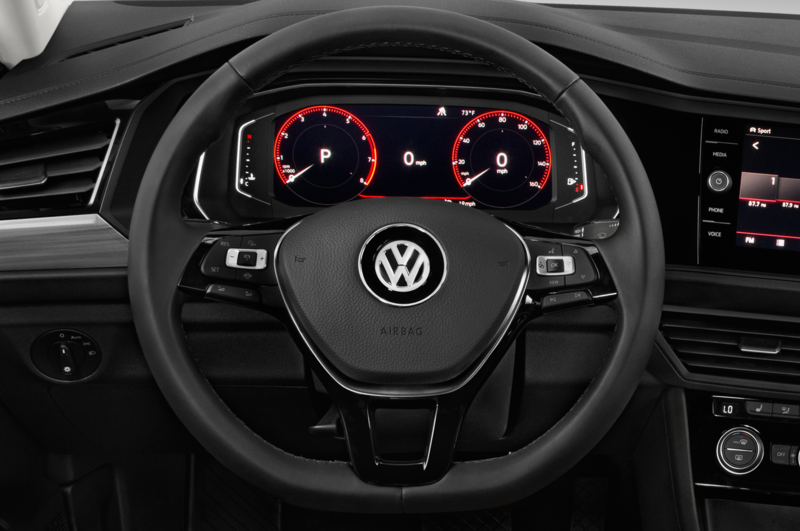 In addition to the ample mobile electronics storage, the new Jetta can also be equipped with its own tech goodies, including a reconfigurable digital cockpit display, Volkswagen Car-Net connected vehicle services, connected smartphone apps, and, of course, Android Auto and Apple CarPlay. 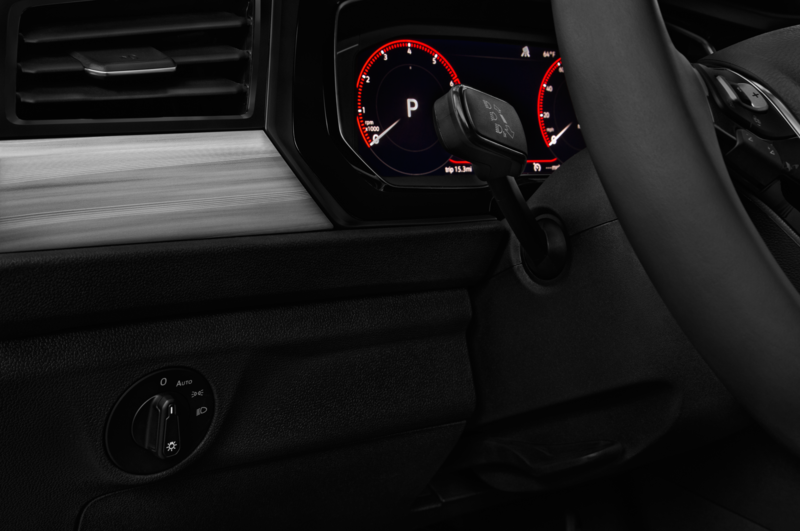 For the bass junkies, a 400-watt BeatsAudio stereo system is also available. 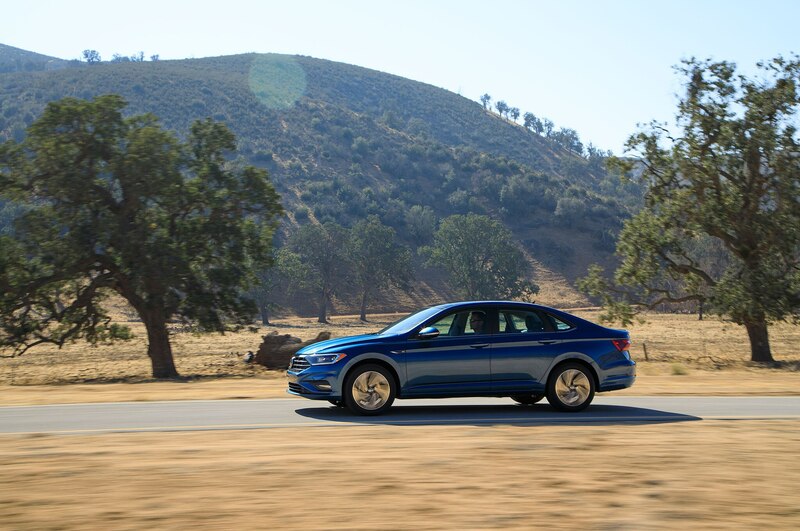 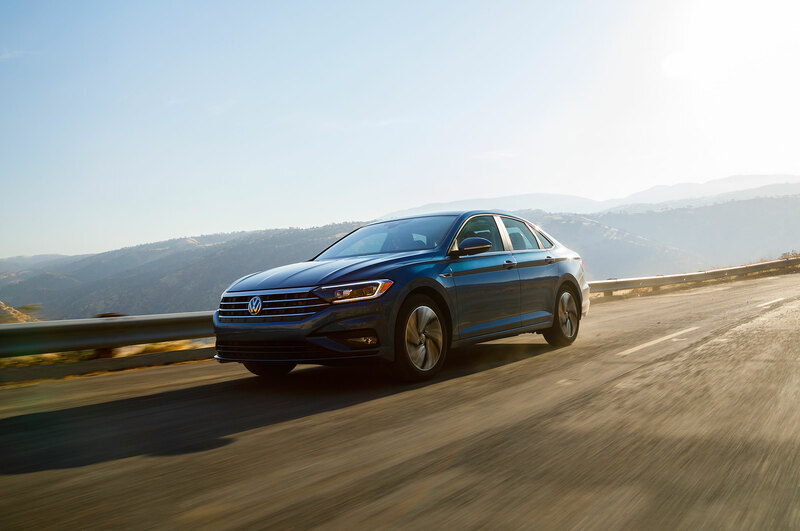 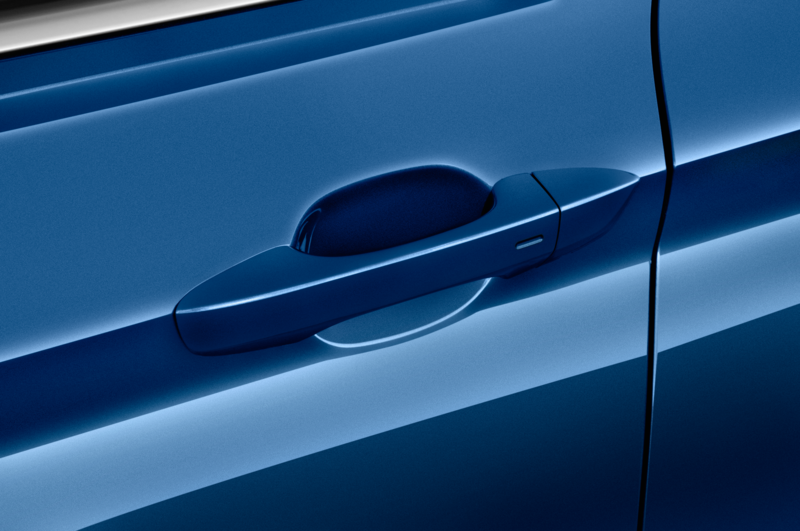 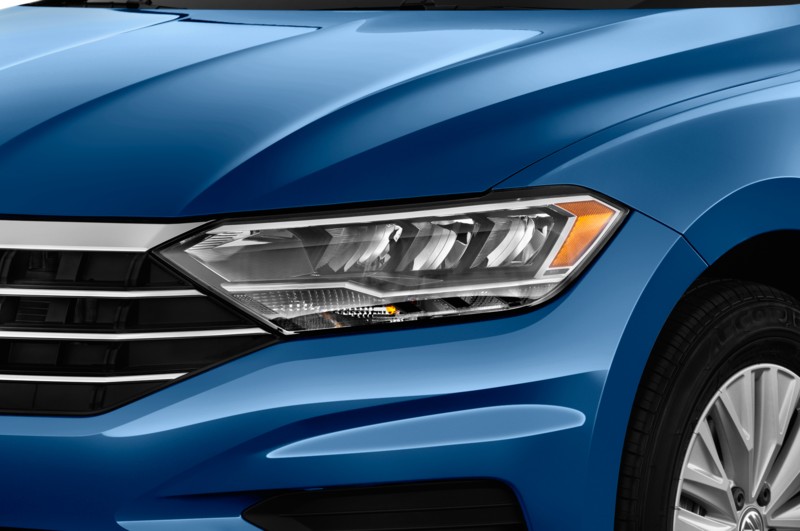 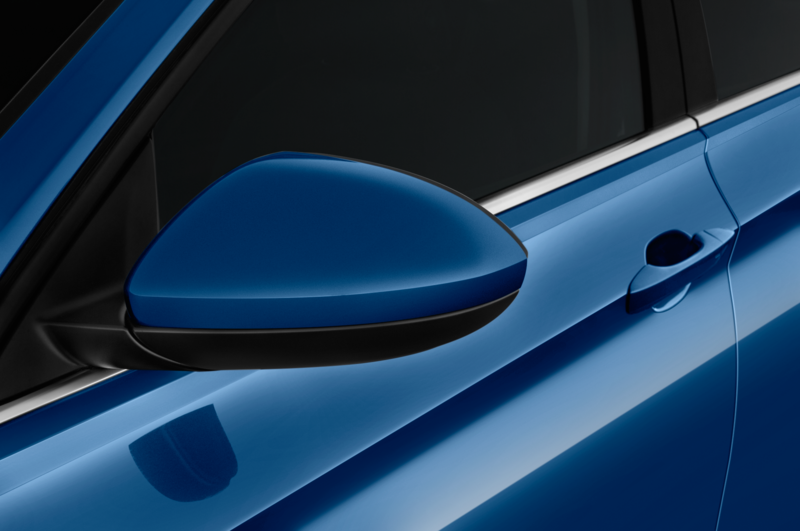 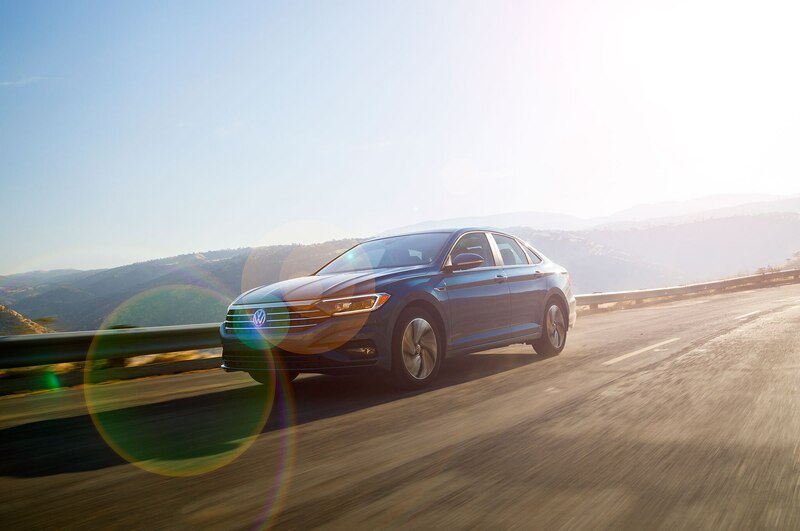 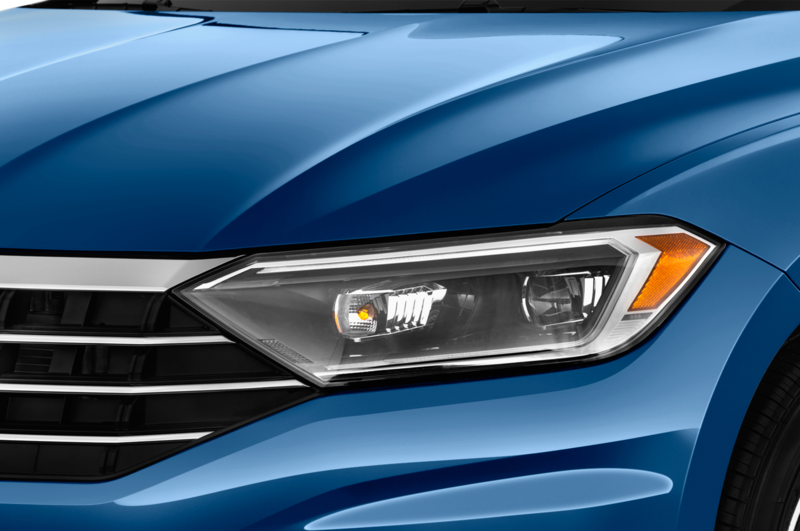 The safety front is well-handled, too, with every 2019 Jetta getting a standard rearview camera, and optional upgrades available to add forward collision warning, autonomous emergency braking, adaptive cruise control, blind spot monitoring, high-beam control, lane departure warning, and more. 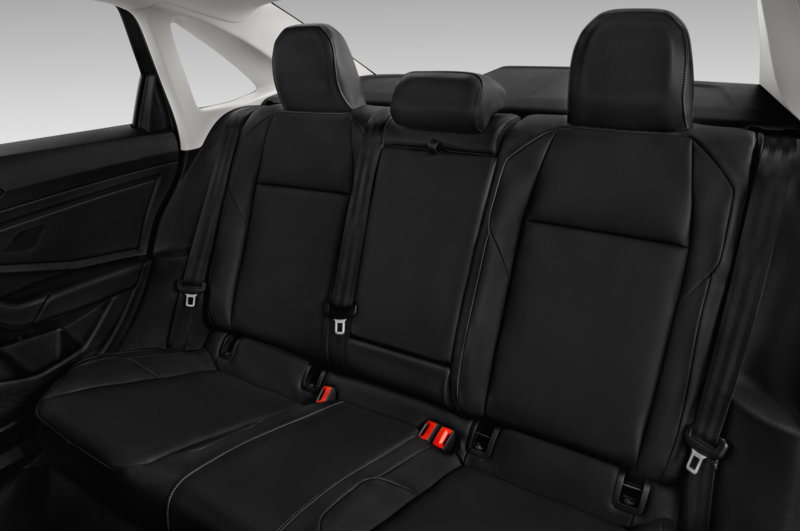 Four trim lines will be offered at launch: S, SE, SEL, and SEL Premium. An R-Line model will also be offered, with sportier styling and the XDS slip-limiting system. 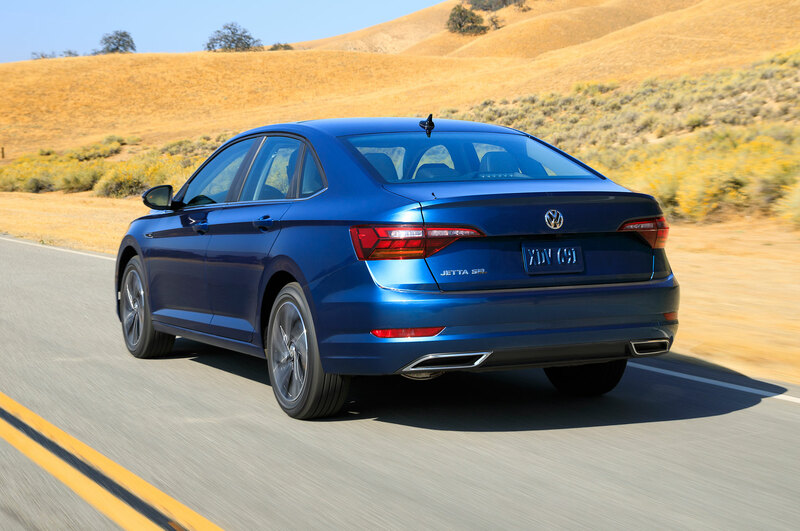 The 2019 Jetta will arrive at U.S. dealers in the second quarter of 2018.